The best music story of the year is a lie. 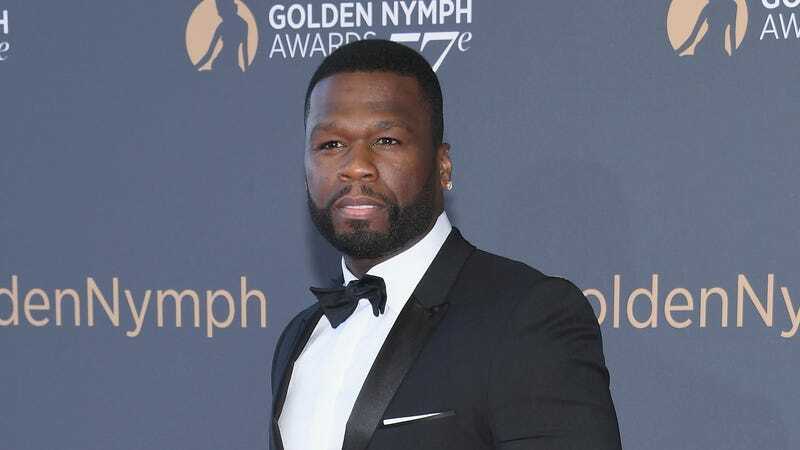 In late January, TMZ reported that 50 Cent agreed to be paid in bitcoin for sales of his fifth studio LP, Animal Ambition. The outlet alleged that the album brought in 700 bitcoins in sale—which, if the rapper converted that to U.S. dollars today, would be worth about $7 million. That’s a big story! That’s a lot of money! It turns out that 50 Cent just WANTED you to think he sitting on 700 bitcoin. Reader, he was not. According to court documents obtained by The Blast (and later published in full online by The Verge), 50 Cent has never had bitcoin. Full stop. “I do not personally own, and have not owned, either a bitcoin account or any bitcoin,” the documents, filed to bankruptcy court, read. In these documents, 50 Cent says that the bitcoin he did make off the album were converted to U.S. dollars by a third-party service. Part of the reason the story was attention-grabbing last month is because the value of bitcoin has gone up since the release of Animal Ambition in 2014—and reached record highs earlier this year. But since 50 never owned any bitcoin, he’s not sitting on $7 million, because he doesn’t have any bitcoin to convert to U.S. dollars at today’s still-ridiculously high exchange rate. Bummer. So WHY did he let all of these reports go by without saying anything? Or, actually, why did he screenshot the TMZ story and post it on Instagram, with the caption, “Not Bad for a kid from South Side, I’m so proud of me,” PLUS an emoji of a bag of money? Duh, it made him look good. Or in the words 50 used in his bankruptcy protection documents, the news was not “irreparably damaging” to his public persona. Celebrities, they’re just like us—ready to untag photos on Facebook when they’re really unattractive but will leave the rest up online if they make us look really good. Someone Tell 50 Cent to Check On His Bitcoin!